After stealing hearts as Baahubali, Prabhas is back with his next big action flick Saaho , set for release in 2018. 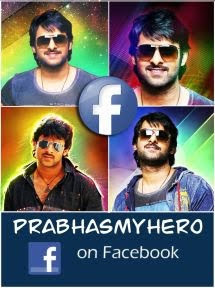 Prabhas needs no introduction. A known name in Telugu cinema, his moment in the pan-Indian context came with Baahubali – The Beginning. For close to four years he worked with SS Rajamouli on the two instalments of Baahubali . The first film, released in 2015, met astounding response at the BO and was embraced even in the North. The release of the second instalment, this year in April, was much-awaited. It repeated the first part’s performance in terms of business too. Both films made the cast, especially the leads, household names even in parts of India where probably the only familiar South Indian actor would have been Rajinikanth. As Amarendra Baahubali and Shivudu, Prabhas won many, many hearts. 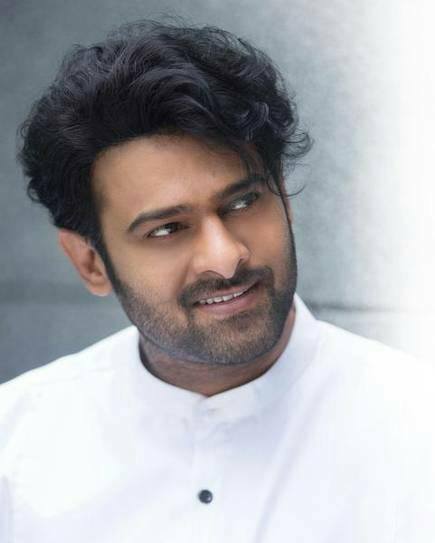 With Baahubali done and dusted, he starts work next month on Saaho , a trilingual film (Telugu, Tamil and Hindi). The film’s teaser, released in April, has notched a few million views and curiosity. Edited excerpts from a telephonic interview. The first thing you did after Baahubali , given that you spent that much time on the project. (Laughs) The first thing I did, after work on the publicity and others was done, was cut my hair. And after the release, in a couple of days, I went to the United States of America. I completely stopped thinking about anything, I was there for 30 days with my friends in a beach-front house. Just relaxed, didn’t think about films. Other than films, we did everything. How does it feel moving on to the next project, after close to four years with Baahubali ? Did you feel, at any point, that you wanted to be done with Baahubali ? No, I never felt that I wanted to be done with Baahubali , it is a once-in-a-lifetime project. In the last one month of the filming, I felt that I had been doing the film for so long and I wanted to do something else. Not like it was enough or anything. I am a little excited to start something new. After three-and-a-half-four years, I am trying to do something else. This one film had made you a known name across India, like for instance in Kerala, everyone knows you. First thing is that I would like to thank Rajamouli. He is the reason behind my popularity. We all felt that with Baahubali , he was trying to make something extraordinary. Everybody who was involved felt that he was doing something great and all of us wanted to be part of it, support him. Luckily in Kerala also people know my name. It is not easy, if it was not for Baahubali , I don’t know how many years it would have taken for me to go into Kerala and people to know my face and my name. The film had a magic and we believed in Rajamouli. The first part did well and that gave us a lot of encouragement. Part II did even better. How is the attention from the North, post- Baahubali ? It is very interesting, we didn’t think the film would get this much attention. In the South we thought it would be good-in Tamil, Telugu and nearby Kannada and even Kerala. We wanted it to do well in Kerala, as there are good technicians and good stories. In the North too we wanted it to be big, and luckily it was. Everywhere the response was superb. Coming to Saaho , what is it about? The teaser suggests something that is the opposite of Baahubali . Was it intentional, you thinking ‘I am going to do something drastically different from last time’? Saaho is set in the present. Some people think, after seeing the teaser, that it is a sci-fi film. It is not a sci-fi film, it will be high-tech, there will be action scenes by Hollywood choreographers. We plan to make an impact in action. It will be completely different from Baahubali because it was a period film and this is set in the present. It was a very good script Sujeeth showed us. After Baahubali, we wanted to make a film that we could release everywhere, something that is universal. It is not ‘modern’ but we want to tell the story stylishly. So that everybody likes it. How has life changed post Baahubali when you step back and look at it? I don’t know, because after Baahubali part II becoming big (sic) I was feeling a little stressed. I was feeling like now, for the audience who liked me in the the film ( Baahubali ), I have to make them happy with my other films too. I was unknowingly stressed. But I’ll try my best. Expectations have risen, does that put pressure on you as an actor? Yes. A little bit, that the audience might want me to be like Baahubali or something like that. But I think if the script works and if it is intriguing, it will work. For Saaho, that is what all of us are working towards. We’ll try our best. Where will it be shot? Anything special we can look forward to? The film will be shot in Europe, Dubai, Abu Dhabi, Mumbai and Hyderabad. It is an action film, so there will be some stunts. Kenny Bates is doing the stunts. Would you again invest this kind of time, like for Baahubali , in another film? Take a chance like that again, since an actor needs to be seen more often. May be in another four years, because actors don’t have so much time. The four years that I spent on this film was a good thing I did, one of the best things of my life. Four years I may not give... I cannot say now, but I don’t think so. May be, if I am very excited about a project, I might give at the most one-and-half to two years. I am a foodie. I like all kinds of food, When I was younger, until around 25, I never ate home-cooked food. Now, I love my mother’s food. We are a family of foodies; even my friends. I love to travel. I think that’s why I am in the industry, so that, in a way, I can travel a lot. I like Nice in the south of France, Australia...there are so many places I like to vacation in. Kenny Bates has co-ordinated stunts of films such as a couple of Transformers films, Die Hard, Pearl Harbor, Italian Job, G-Force among others. Baahubali-2: Watched by 10 crore Indians!